Merger and acquisition (M&A) activity across the world has hit a 17-year-record high in the first quarter of 2018, according to a report by research firm Mergermarket. Merger and acquisition (M&A) activity across the world has hit a 17-year-record high in the first quarter of 2018, according to a report by research firm Mergermarket. That growth is expected to increase, as corporate tax reductions in the United States fuel a number of growth investments, including M&A. Common deal structures (i.e., acquisition of like entities, carve-out and integration of like operating units) come with the expectations of integrating the acquired entity(ies) into the acquiring company’s operations. These deals create challenges for the IT organization, which must simultaneously “keep the lights on” in the legacy organization while integrating the acquired organization and evolving the integrated IT organization to support the expanded entity. These efforts can take a significant amount of time, so companies can be tempted to conclude formal integration activities before the “long tail” of IT integration is complete. “The day before the merger closes, there are two separate operating entities with two separate IT operating models to be combined with some intention of a business outcome,” says Barry Brunsman, Principal in KPMG's CIO Advisory practice. “The day after the deal closes there is supposed to be one IT operating model, even though nothing about the IT operating models is integrated.” While the businesses begin to integrate after the merger—at least as far as customers, suppliers, and regulators are concerned—IT typically can’t support that level of operational integration for months after ‘Day 1.’ In addition to supporting the ‘keep the lights on’ needs of the predecessor organizations and the integration needs of the new entity, IT needs to define its own operating model. Not surprisingly, this becomes a very busy, hectic period. Acquisitions of this kind are often framed as possibilities for enormous growth and as an opportunity to trim costs. CEOs and CFOs may talk about the need to achieve outcomes for that merger as quickly as possible. But demonstrating high priority business outcomes, says Brunsman, isn’t the same as completing an IT integration. “The CEO at one large client of ours was well-known for promising the investor community that his organization would achieve synergy targets within six months of deal closure,” he says. “While he did consistently achieve this, that it is not to say that his organization finished IT integration in that time. Often those ideas get conflated.” The problem is, if an integration is declared ‘done’ because business outcomes have been achieved, the integration framework (funding, governance, communications, etc.) goes away too soon. The IT work is left without what it needs to be successful — investment, people, governance, and strategic direction. 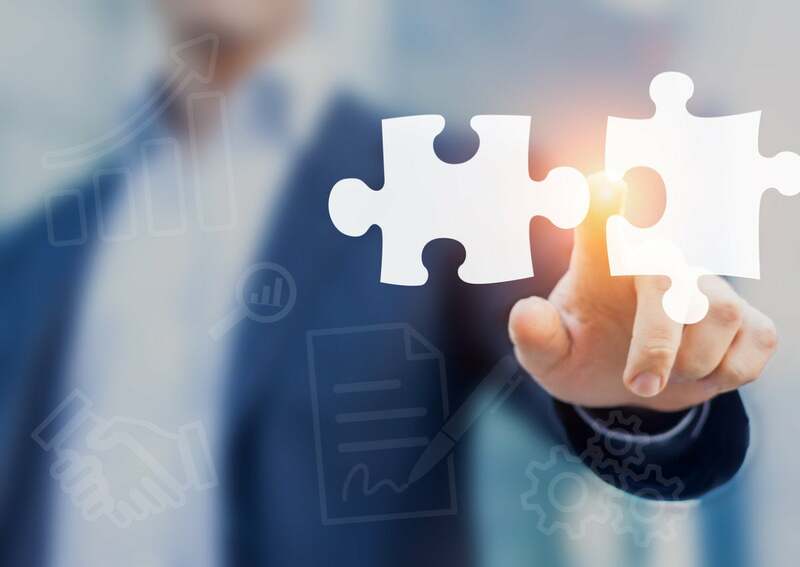 To avoid concluding M&A integration too soon, it’s important to paint a complete picture about a future state IT operating model before getting started, says Brunsman, and not lose sight of it along the way. First of all, that means thinking through the IT operating model and making sure plans are made in concert with the goals of the acquisition. Next, organizations need to carefully choreograph how they are going to make their integration goals happen in that busy, hectic period of time. Otherwise, they will face the likelihood of running out of steam along the way. Make sure IT is part of the integration framework. Even as the deal is being constructed, it’s critically important that IT be part of the construct of the integration framework, says Brunsman. When teams come together to make sure the integration goes well, they are supported by capital, people, governance, communication infrastructure, and access to expertise as they need. “If due diligence and pre-close planning don’t include IT and IT isn’t helping to establish what the end state of integration needs to be, then IT is enormously handicapped and there is a higher likelihood things will fall apart well before IT is integrated,” he says. Be thoughtful about expectations. Make sure you think through the avalanche of work coming your way during an M&A integration, in the context of expectations about cost savings and improved IT services. Set appropriate expectations. Make dependencies clear. Understand the resources available to you and develop a thoughtful plan to leverage them. “You’ll never create a successful IT operating model if you don’t successfully navigate the days between Day One and the day you achieve that model,” says Brunsman. Merger activity is increasing, and that trend is likely to continue in the near term. That means that missteps with integration can compound as the next deal, and the deal after that materialize. This means there is all the more reason to think purposely and comprehensively about taking M&A integration to completion. “People can take a short-sighted view of how integration needs to happen and wake up to realize there are years’ worth of work to do,” says Brunsman. That may mean not just continuation of the integration work, but the organization may need to back up and start again, because things have changed and decisions that made sense a year ago no longer do. “Organizations shouldn’t take shortcuts when it comes to M&A integration, because so often there are downstream IT consequences — and consequences to the entire institution,” he says.